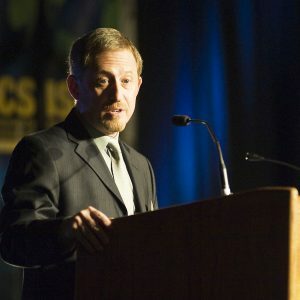 A former NASA leader whose career has touched nearly every aspect of manned and unmanned space flight has been named director of the Florida Space Institute. S. Alan Stern will help the institute, a part of the University of Central Florida, develop projects that align UCF and Florida with the new emphasis in the space industry –unmanned flights, commercial flight, science missions and technology development. The institute, located at Kennedy Space Center, is a collaboration among 10 universities that combine their educational programs, facilities, engineering support and grants to create a strong synergistic structure for space research and education. In his new role at UCF, Stern will lead the institute and coordinate industry, research and administrative efforts in space science, engineering and education. Stern, who has a doctorate in astrophysics and planetary science from the University of Colorado, has the perfect blend of experience to lead such a unique institute. The former NASA science chief is an experienced researcher with more than 200 publications, and he also is a specialist in space science instrumentation. Stern has been involved as a researcher in 24 suborbital, orbital and planetary space missions, and he has led the development of eight scientific instruments for NASA space missions. In 2010, he became a suborbital payload specialist trainee. Time Magazine named him one of the 100 most influential people in 2007. Stern hasn’t slowed down since leaving NASA. He is training to fly a series of suborbital space research missions with Virgin Galactic and XCOR Aerospace in 2013-2014. They are among the companies working to give citizens a chance to fly in space along with scientists who need regular access to space to complete important research. Stern also is principal investigator of the NASA New Horizons mission to Pluto and the Kuiper Belt, and he is the chief scientist and mission architect for the Moon Express Google Lunar X-Prize Team. He also continues to serve as a vice president for the Southwest Research Institute. UCF has a long and unique history tied to the space program at Kennedy Space Center. UCF was formed in 1963, first as Florida Technological University in part to train workers for the Apollo program. Since then, UCF’s faculty members and students have continued to keep close ties to the space industry.